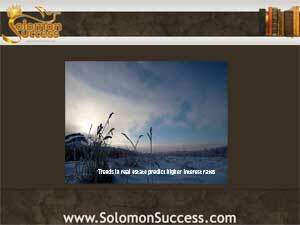 Solomon Success > Blog > Low Mortgage Interest: Sustenance for the Future? Among the key precepts of King Solomon’s guidelines for success as revealed by his sayings in the Book of Proverbs, prudence and planning rank with wisdom as the essentials for living a prosperous life. Taking the long view toward prosperity and stability is better than aiming for quick, short-term gains, he says: “Substance got in haste shall be diminished, but that which is by little and little gathered by the hand shall increase.” (Proverbs 13:11) For income property investors, the benefits of low mortgage interest rates gather over time for significant returns on the investment. Although the future of mortgage interest rates is cloudy, inventors taking advantage of the current low rates can create a major asset for the future.